Pasvalys Petras Vileisis High School principal V. Rimsa gave an impressive presentation about Joseph P. Kazickas in fluent Russian and inspired everyone to read his autobiography "Odyssey of Hope". 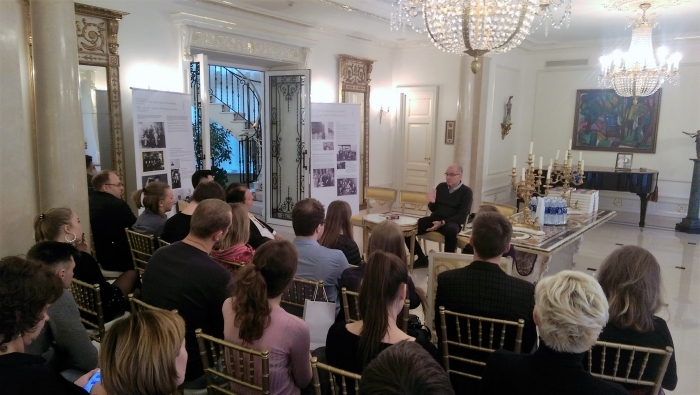 KFF Vilnius office director A. Vertelkaite shared dr. Kazickas' philosophy of giving and the importance of family and country in his life. She introduced them to foundation work and gave copies of "Odyssey of Hope" Russian edition to all participants. 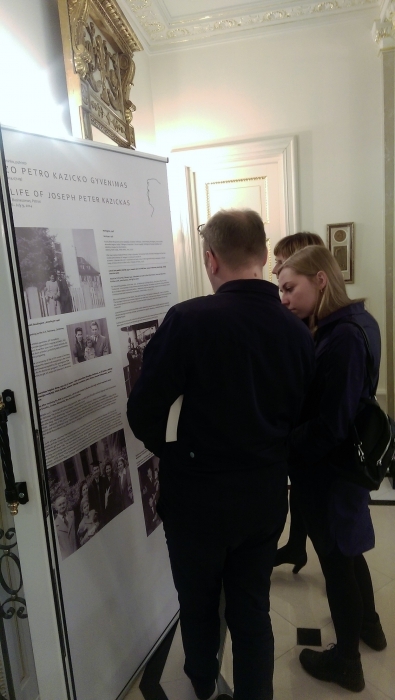 Guests had an opportunity to explore special 100th anniversary exhibit "The Life of Joseph Peter Kazickas" and share their observations over dinner. J. P. Kazickas has a special connection to Ciornaya Padina, Russia where he was born in 1918. His Lithuanian ancestors were exiled after the 1863 uprising against the Tsar there where Joseph Kazickas spent first four years of his life. Years later, in 2002, driven by the sense of responsibility to his roots and community left behind he returned to Ciornaya Padina to share this special place with his children. He built a small chapel there for the local people and kept supporting them for many years. J. P. Kazickas' children continue their father's legacy. After he passed away in 2014, Jurate together with her daughter Kristina, sister-in-law Lucy and a group of family and friends went back to Ciornaya Padina to bring some of his ashes to the place so dear to his heart. During that trip one local man asked Jurate if there was a Russian version of J. P. Kazickas' "Odyssey of Hope." 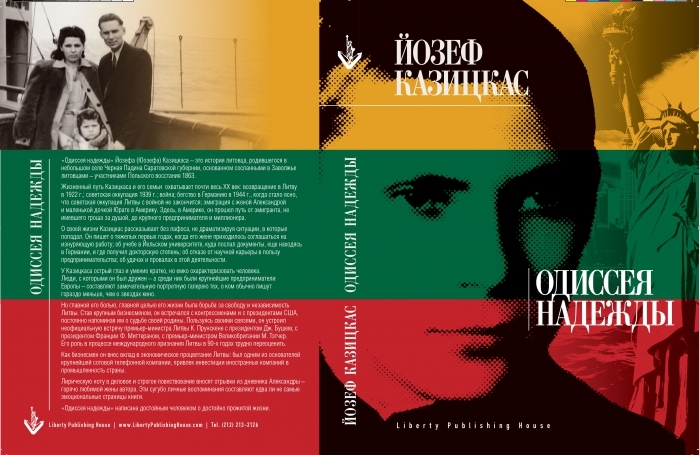 Keeping the promise, Russian edition was published this year and books are trying to reach the Russian speaking Lithuanian communities all over the globe. 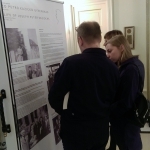 Marijus Gudynas, director of the Foreign Lithuanian department at the Ministry of Foreign Affairs of Lithuania initiated the program to introduce young men and women of Lithuanian descent from Russia and Belarus to their heritage. He expressed the gratitude in his letter to Jurate Kazickas: "It's needless to mention that the basis for any country is nothing else but its people. Despite many occupations and mass killings of big part of our nation, Lithuania have always had people committed to rebuilding it. The story of the Kazickas family is one of those brightest examples of the character of our nation and it's ability not just to survive but to rebuild our lives and our country literally from scratch. Your family goes far beyond that as you teach how to share achievements and success with those who need additional care and attention. I don't think there are enough good words to thank you for all that... The book about your father's life is very important as it teaches not to give up no matter how difficult the life might be, it teaches faith, courage, love and great responsibility not just for yourself but for the larger community and for your motherland". 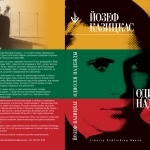 The books have already reached Saratov and now are available for distribution there. 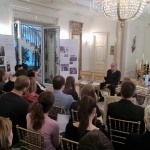 The very first copy of the book was delivered to the Governor. More books already made it to the Lithuanian communities and schools in Belarus and will continue reaching more and more Russian speaking Lithuanian communities worldwide.